Wednesday, Apr. 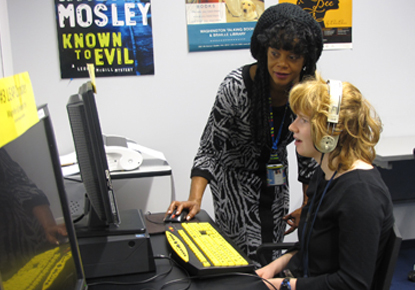 10, 2019, 2 – 6 p.m.
Come to the LEAP Drop-In Lab session for up to an hour of free, one-on-one help in the use of the Library's assistive technology for patrons with disabilities. Registration is not required. LEAP staff is also available by appointment. Please contact us at leap@spl.org or leave a voicemail with your contact information at (206) 386-4690 to schedule a time.